Please check the PHMC Newsletter for updates on site operations and schedules. Just a brief note as we approach the arrival of 2010. Thanks to all of our readers (tell a friend) and to all of you who visited, volunteered at, or otherwise supported the sites on the Trails of History. 2009 was an eventful and very difficult year, one whose impact we will feel for some time to come. But life and history go on. If your plans for New Year’s Eve include some couch potato time, tune in to PCN. Starting at 9:00 AM on December 31, they will be running a marathon of Pennsylvania State Bookstore presentations exploring a wide range of Commonwealth history and heritage. A real Trailheads holiday. For more information on the schedule or to find out about books related to the presentations, visit the bookstore online. Those of you who will actually be leaving the house might want to check out the Twelfth Day program at Joseph Priestley House in Northumberland on Sunday afternoon, January 3rd. The program will feature Dr. Priestley reenactor Ronald Blatchley as well as costumed volunteers sharing the history of Twelfth Night, the traditional close of winter holiday activities in the colonial and federal periods. Visit the website for more details. That’s all for this week. May 2010 find you happily exploring the Pennsylvania Trails of History. As I write this, most of Pennsylvania is cleaning up from a major storm that dropped lots of snow on travelers, holiday shoppers, and everyone else. Beautiful to look at but messy, inconvenient, and downright dangerous for some. But it’s winter and we adjust. Many sites on the Trails of History are adjusting to new staffing levels due to budget-related cuts (see link above for updates to operating schedules). Still, scheduled holiday programs have taken place and there are a few yet to come. If your plans allow, attending one of these programs is a wonderful way to share the season with others and to show your support for Pennsylvania’s heritage sites. We kicked off the season with the annual Holiday Marketplace in Harrisburg, with a variety of sites showcasing goodies from their museum stores. Thank you to John Robinson (friend of PHMC) for the photos. 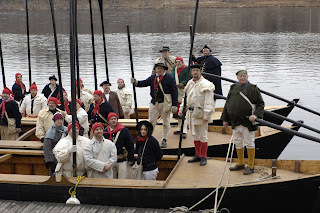 The reenactment of George Washington’s troops crossing the Delaware River on Christmas night in 1776 is a long-standing tradition at Washington Crossing State Park. The Bucks County Conference and Visitors Bureau has taken on much of the responsibility for the program this year and produced a video of the dress rehearsal to whet your appetites for the big event. Another holiday tradition is the Lantern Tours at Ephrata Cloister in Lancaster County. 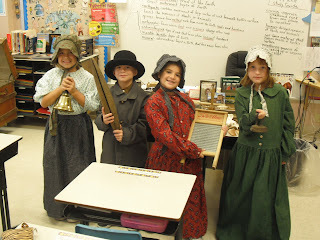 Ephrata’s junior historians, working with site staff and volunteers, bring the site to life with stories of the brothers, sisters, and householders. This year, they will tell the story of a fire at the community mill in December 1747 and its impact on life at Ephrata. It’s a beautiful site at any time of year but by lantern light it is a special treat. Reservations are required for the program, which is set for Dec. 26-29 from 6-9 p.m. (visit the website or call 717-733-6600). The Anthracite Heritage Museum’s holiday programs have wrapped up but a display of German Christmas traditions continues through January 13 (visit their Facebook page for more info and for pictures of this season's holiday programs). All of us here at the Trails of History wish you and yours a warm and peaceful holiday season. Please visit www.PATrailsofHistory.com for updates on site operations and schedules. In honor of Daniel Boone’s 275th birthday, staff and volunteers at the Daniel Boone Homestead, working with the Daniel Boone Middle School and the Kentucky Humanities Council, organized programs for school students and the public that explored Boone’s national significance. Boone was born in the Oley Valley of Berks County, Pennsylvania, on Nov. 2 (Oct. 22 in the old-style calendar), 1734, and spent his first 16 years there until his family migrated to North Carolina. The 2009 program (Oct. 27-29 at Daniel Boone Middle School and Nov. 1 at Daniel Boone Homestead) was the latest installment of a birthday initiative that dates back to 2005, when the first collaborative effort with Daniel Boone Area School District began. As part of a three-week integrated curriculum for 6th graders at Daniel Boone Middle School, students learn about life in Berks County in the 18th century, using history, geography, language arts, music, art, and science. The project includes a field trip to the Boone Homestead for a first-hand experience of Boone’s birthplace. Each year, noted scholars are brought in to talk with students and the public about Boone’s pivotal role in the settling of Kentucky and the western United States. This year’s program included Ted Franklin Belue from Murray State University in Kentucky, Oley Valley historian Phil Pendleton, and Scott New, with a first-person presentation of a return visit Boone made to the area in 1781. Scott New (above), whose participation in the program was supported by the Kentucky Humanities Council, began doing historical presentations on Daniel Boone about 10 years ago, having spent countless hours immersed in researching the frontiersman’s life and hoping to correct some of the misconceptions Hollywood has helped create about Boone. For more information on the programs, check out articles from the Reading Eagle here and here. Our guest blogger this week is Linda Bolla from the Erie Maritime Museum; photos are by Linda Bolla and John Baker. 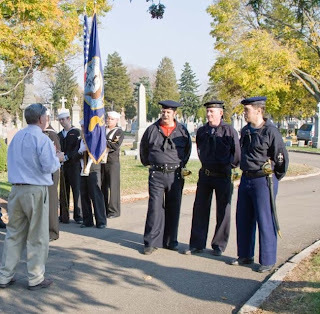 The Erie Maritime Museum’s Education Committee celebrated the Veterans Day holiday this year with a special program honoring a sailor better known locally for his long service on the U. S. S. Michigan than for his heroism during the Civil War. 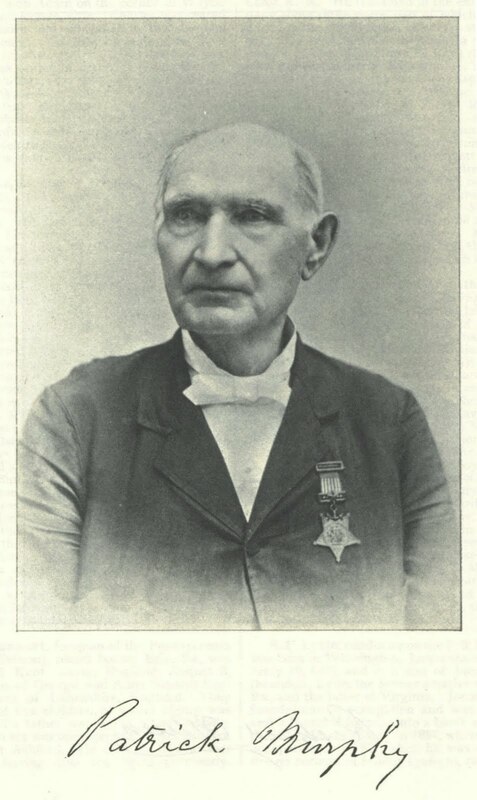 Chief Boatswain’s Mate Patrick Murphy received our nation’s highest honor, the Medal of Honor, for his valor during the Battle of Mobile Bay, August 5, 1864, but very few in the community remembered. 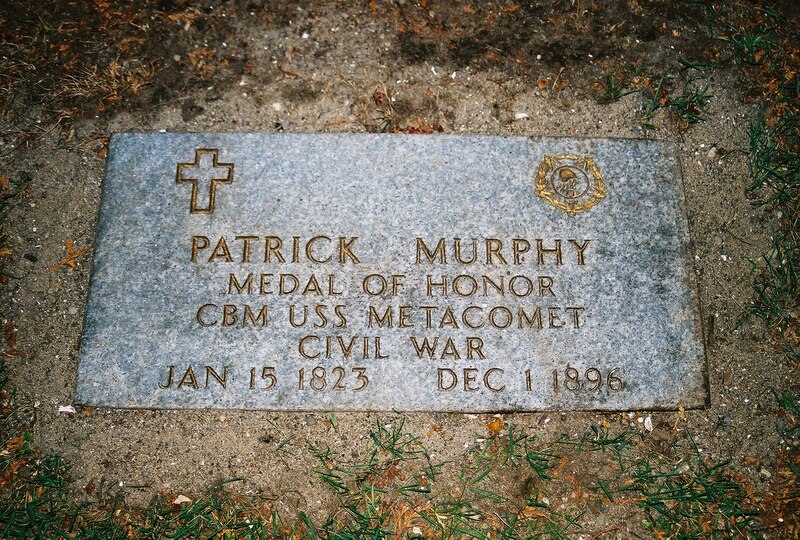 In the Summer of 2008, while researching the life and career of Patrick Murphy, volunteers at the Museum discovered that there was no indication of his service in the U.S. Navy, much less his Medal of Honor, at his gravesite. Furthermore, a 100-year-old arbor vitae beside his Trinity Cemetery marker had grown and tilted the marker’s base. The marker was slowly slipping off the base. The Cemetery promptly responded when this was brought to their attention, and reset the marker within two days. Museum volunteers obtained the proper period “GAR” flag holder and placed it that week. 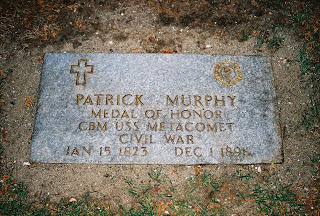 With no descendants to apply for the additional honor due to Patrick Murphy, the Museum’s Education Committee, with the help of Don Morfe (Medal of Honor Historical Society of the United States) and Erie Diocesan Cemeteries, applied to the Veterans Administration for the granite Medal of Honor marker which was installed in 2009 and dedicated on November 8, 2009. The ceremony included a color guard from the U. S. Naval Training Center in Erie, as well an honor guard of Civil War sailors reenacted. A very moving moment in the service was when Taps was played on a bugle that was used on the U. S. S. Michigan/Wolverine, Murphy’s home vessel. 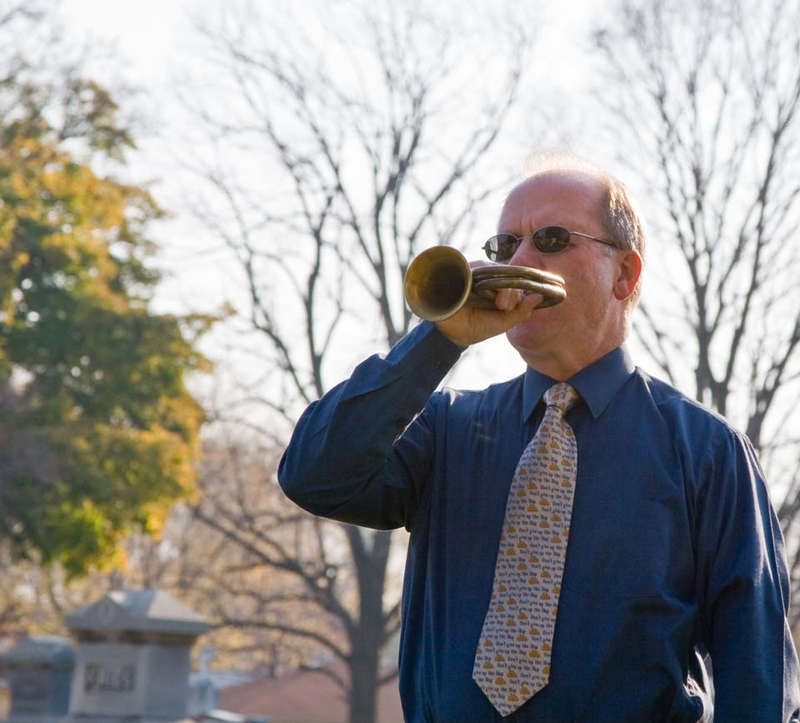 The bugle is a family heirloom, originally played by Frank J. Grucza (U. S. S. Wolverine 1914-17). His grandson, Committee member Tim McLaughlin, made it available for use that day. Patrick Murphy’s personal story is told as part of the “USS Michigan/USS Wolverine: The Iron Steamer” exhibit at the Erie Maritime Museum. You can hear Frank Grucza’s bugle play the calls that are part of a touch screen kiosk in that exhibit. All of Erie County’s Navy Medal of Honor recipients are also honored in the Museum. 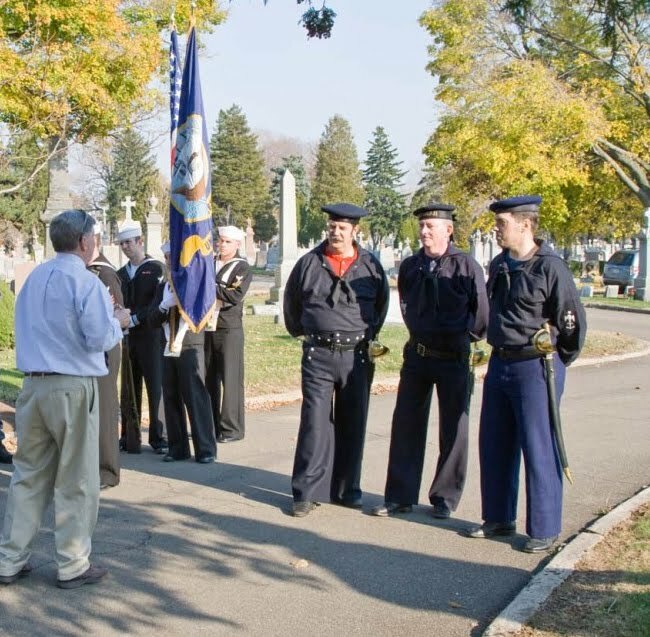 Next spring, the Education Committee hopes to work with the U. S. Naval Training Center to landscape the gravesite. Served as Boatswain’s Mate on board the U.S.S. Metacomet, during action against rebel forts and gunboats and with the ram Tennessee in Mobile Bay, 5 August 1864. Despite damage to his ship and the loss of several men on board as enemy fired raked her decks, Murphy performed his duties with skill and courage throughout a furious two-hour battle which resulted in the surrender of the rebel ram Tennessee and in damaging and destruction of batteries at Fort Morgan. The citation does not detail the ferocity of that engagement. U. S. S. Metacomet was hit at least eleven times: a shell penetrated the hull, exploding the storeroom and setting it on fire; the mainsail was cut in two; two shells exploded in the starboard paddle box; the roof was blown off the pilot house; and a shot went through the foremast, cutting two shrouds. Murphy would have spent the entire time exposed on Metacomet’s deck, supervising the deck crew as they cleared wreckage and repaired rigging. Thanks to Kim McCarty for the photos for this post. 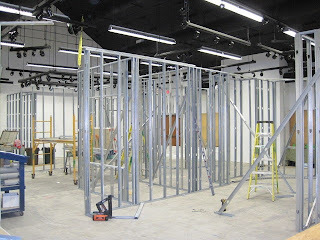 It’s been a long time in the making, but the new orientation exhibit at Pennsbury Manor is finally taking shape. For that we are truly thankful. Through the hard work of Pennsbury’s staff over the past 8 (plus) years, the new exhibit will introduce visitors to William Penn, his legacy, and the many people who made Pennsbury run. 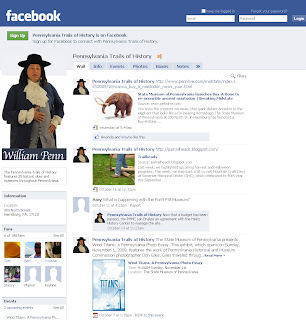 “’The Seed of a Nation’: Honoring William Penn’s Vision,” was designed by Steve Feldman Design of Philadelphia, through Interpretive Solutions, who also worked with the staff on the content development of the exhibit. 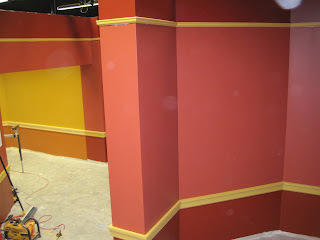 Studio Displays, of Charlotte, North Carolina, is responsible for fabrication and installation. Financial support for the exhibit has come from the PHMC, the Pennsbury Society, the National Endowment for the Humanities, the William Penn Foundation, the Pew Charitable Trusts, and others (my sincere apologies to anyone I've left out). 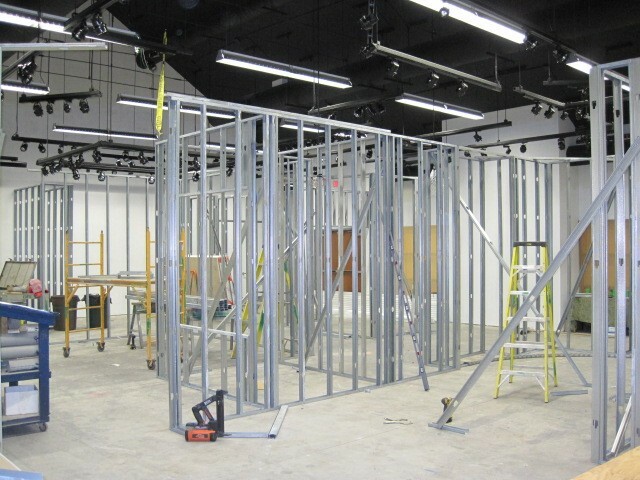 Exhibit walls started going up in early October and the designer’s concepts are coming to life. There's lots more work to do, so stay tuned for additional updates. And there’s still time to attend the second night of Pennsbury’s annual holiday event, Holly Nights (if you’re reading this on Dec. 4). Intrigued by the whole idea, I did some research to see how many other sites on the Pennsylvania Trails of History have attracted the interest of geocachers. I started with the official website of geocaching and learned that as of late October, there were more than 930,000 active geocaches around the world. I also learned that a similar activity, called letterboxing, has been around since the 19th century (popular in the U.S. since the late 1990s). Letterboxing uses narrative clues and (sometimes) compass headings, rather than GPS. Letterboxers create and use personalized rubber stamps to record their finds. These are greatly simplified explanations (as those of you already involved in these activities will have noted)—if you’re interested, check out the websites for loads more info on getting started. The websites also include logs where searchers can report on caches and boxes they’ve located (or not located). As best as I can tell (the websites don’t always spell out the location precisely, since that would spoil the fun) many of our sites have either a geocache or letterbox hidden on the property. 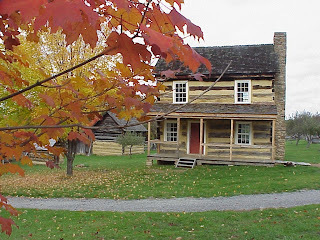 Daniel Boone Homestead, Pennsylvania Military Museum, Bushy Run Battlefield, and Graeme Park are just a few of the sites where you can search (please visit during open hours). In some cases, the cache is close to the site and relates to the history (and entries on the tracking websites make reference to our museum)—Erie Maritime Museum, Joseph Priestley House, and Drake Well Museum fall into this category. Cornwall Iron Furnace is an Earthcache—a place for folks to learn about geoscience and the earth’s geological processes. The Pennsylvania Lumber Museum’s Sustainable Forestry trail is part of the Allegheny Geo Trail, a project organized by the Oil Region Alliance. 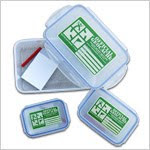 You can find info on caches and letterboxes at or near PHMC sites (or any other location for that matter) by entering the street address or zip code into the search engine on the relevant website. Geocaching and letterboxing are great ways to explore Pennsylvania, its heritage, and its natural beauty. Perfect matches with the Trails of History. Not quite, but we’ve survived Halloween and exhausted our supplies of “fun-size” candy bars (except for the emergency stash). Thanks to all of you who supported the Pennsylvania Trails of History by attending a harvest or Halloween program at one of our sites. So, what’s coming up (besides more excuses to overeat, or is that just me)? As autumn slides into winter, we all begin to think about our own holiday traditions, and historic sites are no different. PHMC sites host a number of time-honored programs, some of which have been presented for over 20 years. Other offerings are newer, on their way to becoming somebody’s favorite. As always, please check ahead to make sure that an event you want to attend is happening as scheduled. If you’re in the Harrisburg area, check out one of the newer programs, The Holiday Marketplace, which features the museum stores of about half a dozen sites plus the State Museum. Organized by the Pennsylvania Heritage Society and sponsored by the Pennsylvania State Employees Credit Union (PSECU), the marketplace is a great way to get a jump on your shopping AND support our programs. Marketplace activities will take place from 10:00 AM to 3:00 PM, November 19-20 in the atrium of the Commonwealth Keystone Building, 400 North Street, Harrisburg. Elsewhere, late November and December are filled with programs and events. Some are designed specifically for children while others are of more general interest. I think the best thing to do is to list them and let you see for yourself. Note: I missed a Facebook page in last week's post--the Preservation Trades Technology Program, of which PHMC is a partner, is also on Facebook. Thanks to museum educator Bill Strassner for the photos. With a grant from The 1772 Foundation, Eckley has created a traveling trunk curriculum for students in third and fourth grades that explores life in a 19th-century coal patch town. 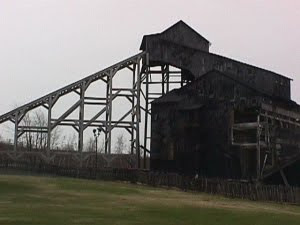 The program also helps students learn about the role of anthracite (hard) coal in the development of industrial America. The trunk contains a wealth of materials that teachers can use to bring history to life—toys and games, reproduction period clothing for boys and girls, mining tools, books, and DVDs. There’s even a CD of period music so students can learn some of the songs their 19th-century counterparts would have sung. Eckley’s museum educator, Bill Strassner, has been working with area teachers and administrators to make sure the traveling trunk meets Pennsylvania’s academic standards as well as local curriculum needs. In addition to the objects the students work with, teachers also will find a variety of support materials to help them make the most of the trunk. Strassner is currently testing the program by taking it into classrooms himself. But once the program officially kicks off at the beginning of 2010, teachers will be able to borrow the trunk (at no charge) for anywhere from two to four weeks. If you’re a teacher in the anthracite region (public, private, parochial, or homeschool), you can contact Strassner by way of Eckley’s website for more information. For a bunch of historians, we really are making progress with new technologies. Many of the sites on the Pennsylvania Trails of History (including the Trails as a whole) have embraced social media as a great way to make new friends and keep up with old (uh, long-time) ones. At last count we had more than 1300 fans for the Facebook pages related to the Trails of History. Admittedly, I am something of a newbie when it comes to Facebook. But I always look forward to seeing status updates from our sites on my News Feed. I was intrigued, for example, when the Anthracite Museum announced a celebration of the 180th anniversary of the Yuengling brewery (with samples) and really wished I lived closer to Scranton. Drake Well Museum’s director has kept us updated on Oil 150 events (also see last week’s Trailheads post) and shared photos of various programs during the year-long (plus) celebration. Fans of Somerset Historical Center have followed some of the preparation for Mountain Craft Days as well as the reconstruction of a log barn at the 1830s Farmstead. I’m always interested to see what shows up from Landis Valley Museum —program previews, news updates, and tantalizing promises of ice cream sundaes in September (on Sundays, of course). Old Economy Village’s page features images of the always-photogenic site, and earlier this fall, staff posted video of last year’s Erntefest (harvest festival) to entice visitors to this year’s program. Graeme Park treats their fans to updates on programs and events and posts photos of the site during different seasons of the year (spring was particularly nice this year). Fans of Cornwall Iron Furnace, Railroad Museum of Pennsylvania, and The State Museum of Pennsylvania can keep up with their favorite site and hear about upcoming events or exhibits. 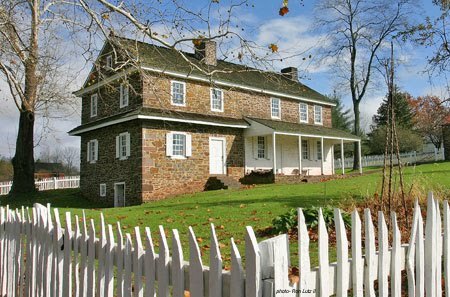 You can keep up with all of our sites (even those without a fan page) by becoming a fan of Pennsylvania Trails of History. Or by following us on Twitter or our YouTube channel. Whatever way you choose to enter the trails, we’re sure you’ll find something to explore and return to again and again. Oil 150--It's Not Over Yet! Many thanks to the staff at Drake Well for their contributions to this post. What do you give an oil well for its 150th birthday? A gift card seemed too impersonal, so folks in Pennsylvania’s Oil Region planned a 17-month-long party of programs and events for the birth of the modern oil industry that began when Edwin Drake’s well struck oil outside Titusville on August 27, 1859. OIL150 is the combined effort of businesses, government entities, museums, and tourist attractions to promote and coordinate a wide array of commemorative events and public programs that will culminate in December 2009. Since Drake Well Museum is the place to go for all things oil on the PHMC’s Trails of History, museum staff and volunteers have worked closely with Oil 150 and supported regional efforts to make this series of celebrations a not-to-be-missed occasion. One of THE high spots was a day-long event at Drake Well on August 27 that featured music, demonstrations of geologic stuff related to oil-drilling, and a special edition of the explosively popular Nitro Show. While focusing on the birth of the petroleum industry, museum staff didn’t overlook more recent times. Noting that the museum collection included examples of oil-company advertising, they set out to find the models who appeared in Pennzoil ads back in the 1960s, portraying Penny Pennzoil. With the help of good publicity and a resourceful newspaper reporter, they located Nancy DeCelle in Florida. DeCelle, one of several women who appeared in Pennzoil ads, traveled to Titusville for the anniversary festivities at Drake Well and rode in the Titusville Oil 150 parade. While some of the celebratory hubbub has subsided, the anniversary and the attention it drew to the region will have a lasting legacy. WQED Pittsburgh, in conjunction with the Oil Region Alliance of Business, Industry and Tourism, produced a documentary on the history of oil, The Valley That Changed the World (available from Drake Well Museum Store online). As winter settles in, Drake Well will begin an extensive, multi-year renovation of the museum building, creating more and better space for programs, collections storage, and the research library and installing an exciting new exhibit about the drop of oil and gas in your life every day. Stay tuned for the next episodes in the continuing story of the oil industry. Last week, we highlighted upcoming harvest and Halloween programs. This week, we step back a bit to visit Mountain Craft Days at Somerset Historical Center (SHC), which celebrated its 40th year this September. What began as a handful of craft demonstrators in the parking lot of the Center has grown to encompass over 120 artisans/vendors plus musicians, a magician, and great homemade food. People from the local community support the program by volunteering and by attending, and people from farther away have embraced the unique nature of this event. Craft and trade demonstrations run the gamut from tinsmithing to weaving to sauerkraut making and log splitting (above). One of the goals of SHC is to promote and preserve traditional arts and skills. Mountain Craft Days is the high point of those efforts, although workshops and demonstrations take place the rest of the year too. At this year’s festival, SHC dedicated the newly expanded barn at the 1830s farmstead. Site staff worked with a crew from the Pennsylvania Conservation Corps (PCC) to accurately enlarge the farmstead’s log barn. The barn can now be used to demonstrate more farm activities and will become home to some of SHC’s 19th-century farm equipment. PCC program director Paul Owens was on hand to congratulate the crew and staff on this joint effort (one of many that have taken place at SHC and at other points on the Trails of History). Don’t think that Mountain Craft Days is all work and no play. Entertainment abounds with a variety of musical performers, including classical, celtic and folk. There’s also an 18th-century charlatan (Rodney the Younger, portrayed by Taylor Martin), who has developed quite a following with festival audiences. Activities for children at the festival include the Young Apprentice tent where they can try out new skills and make something to take home. This year’s focus was rope-making; past years have featured paper-making, stenciling, quilting, leather-tooling, and much more. The stilts are always popular, as are the old-fashioned toys and the big pile of hay. Not a video game in sight, just a lot of happy faces. No visit to Mountain Craft Days would be complete without checking out the food vendors (no photo here, because I don’t want you to drool on your keyboard). The Historical and Genealogical Society of Somerset County (PHMC’s partner at the Historical Center), local churches, and community organizations staff a wealth of food booths that offer delicious fare such as apple dumplings, chicken pot pie, buckwheat pancakes, chicken corn soup, fried corn mush, barbecued chicken, okay I have to stop now before I faint from hunger. Mountain Craft Days always takes place the weekend after Labor Day, so mark your calendars for Sept. 10-12, 2010. You won’t be sorry. It seems as if autumn came early this year, at least in the Laurel Highlands. The fall color peaked a little sooner than usual and the nights were chilly before September was gone. Summer wasn’t really over, but thoughts of fall traditions had started their annual dance. On the Trails of History, fall means it’s time for harvest and Halloween programs. With haunted hayrides, moonlight tours, open hearth cooking, and more, there’s a program to suit anyone’s interest and help usher in that mystical (to me, at least) transition from summer to winter. Somerset Historical Center’s Mountain Craft Days and Old Economy Village’s Erntefest started off our harvest season in September but there’s a great variety of programs still to come this month. Crisp autumn air filled with the smell of a wood fire, pyramids of bright orange pumpkins or scarlet apples, and the taste of apple butter cooked over an open fire. Sound like a good way to spend a Saturday or Sunday? Check out the 50th annual Harvest Days (with the Pumpkin Patch) at Landis Valley Museum (tomorrow and Sunday) or Harvest Day at Washington Crossing Historic Park (Oct. 18). (For a great review of last year's event at Landis Valley, go here). If homemade food is mostly what you’re looking for, try Apple Dumpling Day at Ephrata Cloister (Oct. 9-10), Hearth Cooking at Hope Lodge (Oct. 17), or Cider Making and Smoking Meats at Pennsbury Manor (Oct. 25). For those of you looking for something spookier with your history, we can scare up a program or two. Visit Eckley Miners’ Village for Halloween Lantern Tours (Oct. 16-18 and Oct. 23-25) or Graeme Park for Haunted Moonlight Tours (Oct. 16-17) and Ghostly Gatherings (Oct. 22-24). Bushy Run Battlefield has a Haunted History Hayride on (Oct. 24). On Oct. 31, you’ll find a Halloween Program at Pennsbury Manor or Night of the Great Pumpkin at the State Museum of Pennsylvania. Of course you can always find excellent tours, beautiful vistas, and friendly people at any site on the Pennsylvania Trails of History. We’re looking forward to your visit. I’m making an assumption (yes, I know where that can lead) that those of you reading Trailheads are interested in visiting historic sites, either in person or virtually. The folks at Landis Valley Museum recently shared with me a vintage piece of travel film featuring Lancaster County, Pennsylvania. “Beautiful Lancaster County, 1960s,” as it’s titled on YouTube, was produced by the Penn Dutch Tourist Bureau and provides an overview of farming, industry, and tourism. Many of the tourist attractions and historic sites shown are still in business, although some of the industries are not. In addition to the vintage cars, clothes, and hairstyles (not to mention the soundtrack that will remind you 40-somethings of 2nd grade filmstrips), you’ll see several sites along the Pennsylvania Trails of History, mostly in the last 10 minutes of the 26-minute film. If you don’t have time (or interest) for watching the whole thing, Ephrata Cloister makes an appearance at about 18:40. Landis Valley Museum shows up at 20:45 (warning: don’t watch this if you’re hungry). A few PHMC historical markers are also featured. YouTube has another film titled “Lancaster County Heritage, 1960s” that features many of the same elements, but in a different order and with different footage. This was also produced by the Penn Dutch Tourist Bureau. 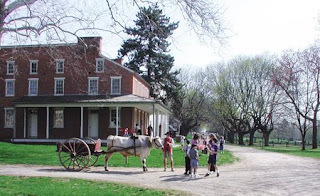 Please note: if you're planning a trip to Lancaster County, the Pennsylvania Dutch Convention and Visitors Bureau can provide much more up-to-date information than the films. Both of these films are part of The Travel Film Archive . 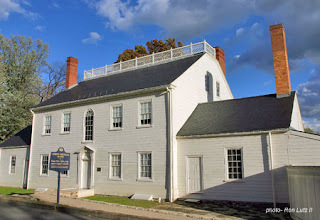 Other sites that may be of interest to Trailheads are The Savvy Grouse , Pennsylvania’s official tourism blog, and Gozaic--Connecting through Places that Matter, a new blog launched by the National Trust for Historic Preservation as part of its Heritage Travel initiative. I had the chance recently to visit the new temporary exhibit at Old Economy Village (okay, not SO new, it opened in May). “Harmony in Wood,” which will be up through the month of December in the Visitor Center, explores furniture made by members of the Harmony Society during the 19th century. 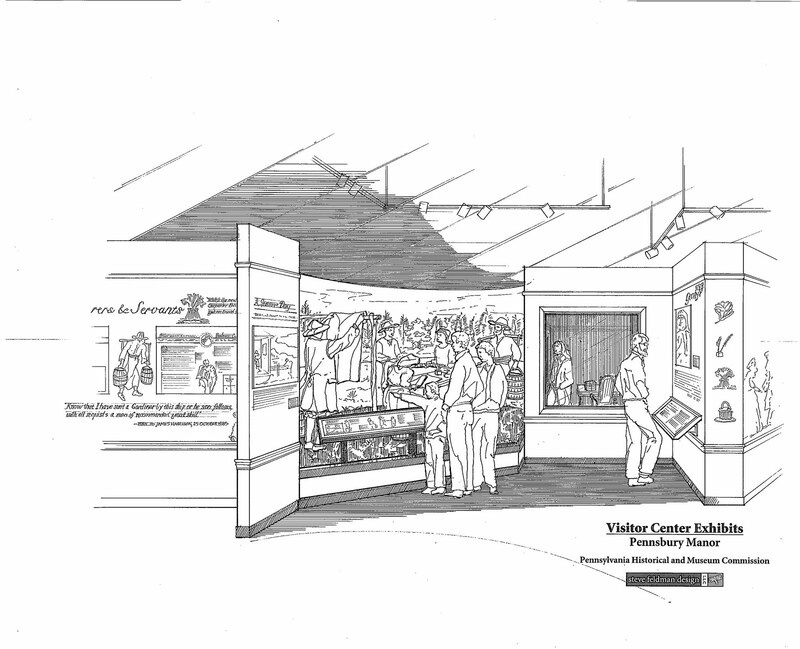 The exhibit received support from the Pennsylvania Humanities Council. Although it looks like an art exhibit—beautiful wood furniture against pale blue walls—it does much more than celebrate the aesthetics of the pieces. Not that there isn’t plenty to celebrate. The exhibit does a great job, in my opinion, of putting the furniture in its historical and cultural context. You’ll learn some basic history about the Harmonists and their settlement at Oekonomie (their third home in the United States). You’ll also get to see some of the tools used to make this beautiful furniture and “meet” some of the people who made these pieces (a guided tour of the site includes the Cabinet Shop where the furniture makers worked). Throughout the exhibit, period illustrations and photographs, documents, and close-ups of furniture details help to convey the world in which this furniture was made and used. The exhibit wraps up with information on what happened to some of the furniture between the time the Harmony Society disbanded and Old Economy Village opened as a museum. A visit to “Harmony in Wood” is included in your admission to the site, as are the museum’s orientation video and exhibit (also in the Visitor Center). Plan enough time to see the exhibits, take a tour, and enjoy some time in the garden. Or come to the Erntefest harvest festival tomorrow (Sept. 26). Check out Old Economy’s calendar for information on special events and programs. Summer is usually the busiest season at the Pennsylvania Military Museum and 2009 was no exception. Starting with Armed Forces Day and Memorial Day in May and continuing through to the fall, programs and special events fill the calendar, keeping the staff and volunteers extremely busy. This year the usual excitement was heightened by the arrival, just before Memorial Day, of two massive guns from the USS Pennsylvania (BB-38). These guns, which have been in storage in Virginia for years, weigh in excess of 66 tons each. The effort to move them to PMM has spanned 10 years, so it is easy to see why there was such excitement when the guns arrived in May. The guns are currently on temporary supports while they are prepared for more permanent exhibit as part of a greatly enhanced outdoor (and indoor) visitor experience. 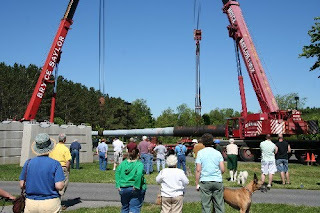 The arrival of the guns was fitting, as they were in their temporary supports just in time for the museum’s Memorial Day weekend program, World War II Revisited. 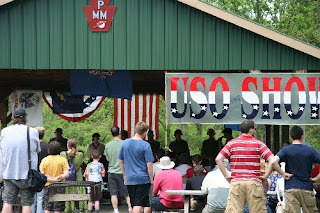 An annual event, WWII Revisited features reenactors of both American and German forces, plus a service canteen and USO show. Vietnam Revisited, an annual event that started in 2007, is held in July to approximate (as closely as you can in central Pennsylvania) the tropical climate faced by those who were “in-country.” Volunteers and staff share with visitors some of the experiences of combat, including patrols and ambushes, and try to help them understand what they are seeing. 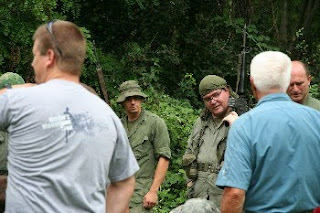 The response from Vietnam era veterans to the program has been very supportive and the event was covered by the Associated Press. 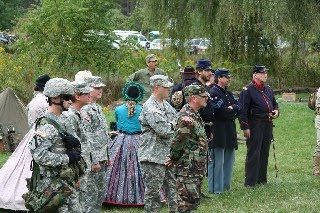 Still to come in October is Then and NOW, an encampment program that covers U.S. military experience from the American Revolution through to the present day. There are many other programs during the year, so be sure to check the calendar for exact dates and times. Many thanks to Linda Bolla (photos and text) and Sally Nuckles (photos) for their contributions to this post. 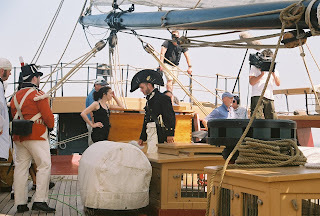 In August, the US Brig Niagara, her sailing crew, and the Erie Maritime Museum's volunteer Ship's Company participated in the filming of a new documentary about the War of 1812. The War of 1812 is a two-hour film history currently in production by WNED (Buffalo, NY) and Florentine Films/Hott Productions, Inc. in conjunction with WETA (Washington, DC). Larry Hott and his company have been filming at many of the War of 1812 historic sites and events this past summer, both in the United States and Canada, using living history events to capture battle scenes and paint a more authentic picture. The August 10-11 shoot on Niagara was certainly one of the most interesting the film crew has experienced! 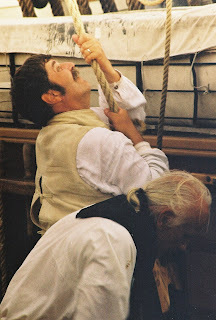 Many of the crew and volunteers doubled as on-screen and off-screen characters and still did all the work needed to sail Niagara throughout the day. 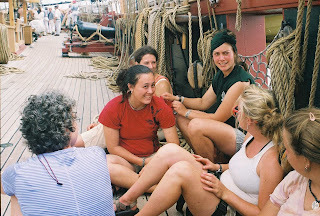 Women were not part of Niagara’s sailing crew during the Battle of Lake Erie in 1813 (we just celebrated the anniversary yesterday, Sept. 10), but today’s ship carries both men and women as sailors. Niagara is the premier sailing school vessel in the U.S. and attracts a wide array of people wanting to learn how to sail wooden ships. Of course, it’s also possible to enlist for a one-day experience to get just a taste of sailing the open sea. The documentary is scheduled to air on public television in the fall of 2011, not long before the start of the bicentennial of the war (the War of 1812 ran from 1812 to 1815). One of the least studied wars in U.S. history, the War of 1812 was the first test of the new nation’s ability to deal with former allies and foes, France and Great Britain, as an equal. For those of you who want to read more about it (we all should), there’s a great list of resources here. 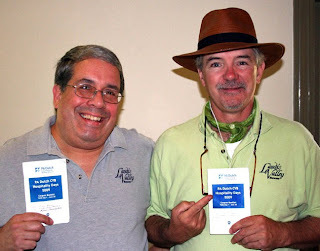 Our guest bloggers this week are wordsmith Jim Cawley (right in photo below) and photographer Craig Benner of Landis Valley Museum. Mission: To gather Intelligence from the surrounding community. Destination: Pennsylvania Dutch Country. Time Frame: a few day-off Mondays in June -- for two intrepid PHMC tour guides. The following is a reconnaissance report from the local tourism industry in Lancaster County, Pennsylvania, written by two operatives working in the field. It was initiated by several factors, including investigating the recent down-economy/increased-gas-price-induced phenomenon known as "staycations." 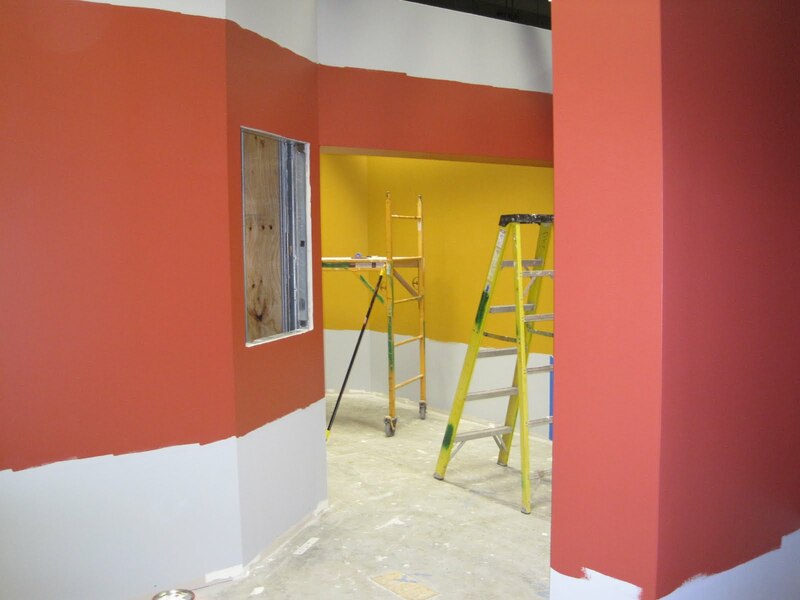 Our foremost motivation was after having heard a co-worker say to some visitors, "Oh, don't go there -- that's too [Fill-in-the-Blank]...." This event provoked us to ask one another, "Have we at times said something similar?" We took a deep breath and muttered, "Er, ah, hhhmmm, sadly, maybe we have." It is possible the trip became a kind of Redemptive Pilgrimage. Craig and I were surprised at the very warm reception by other folks working in the tourism industry -- after telling hosts at the sites we visited where we worked. Several told us, "Thanks for visiting us. We will definitely recommend Landis Valley to our guests!" THAT made us feel like our time was well spent. To borrow an old phrase, maybe we won some "hearts and minds." 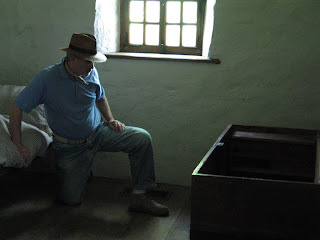 Jim looking at a chest dated 1737 at Hans Herr House. We had both visited Hans Herr House in the past, but feel the need to re-fresh ourselves occasionally at "ground zero," if you will. As an aside, 2010 marks the 300th anniversary of the first Mennonites to the area that would become Lancaster County. The Hans Herr House dates to 1719! The site is owned and operated by the Lancaster Mennonite Historical Society. Herr House's staff continue to do a great job of telling the story of this important immigrant group to the region and interpreting a wonderful still-standing piece of the past. We assured our hosts that we always recommend their site to our visitors, especially to those who seem truly curious, have a keen interest in the past, or would appreciate hearing about a distinctive Lancaster group in "their own voice." 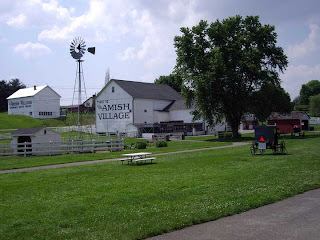 In all fairness, The Amish Village and The Amish Farm tell a different story than we do at LVM, but we observed closely the other visitors on the tours; they seemed to find it interesting and clearly a need was filled. At one site the guide pulled us aside at tour's end and asked us, "How did I do? I'd really like your input." We were gracious and told him all seemed fine and that we appreciated his efforts, and his asking for our input. In essence, we felt "proud" that Landis Valley's reputation is such as to have warranted his request. We believe that some Lancaster County visitors might find it difficult to find “one stop shopping” place that describes differences, or subtleties in the cultural and theological aspects of the county's religious denominations. As historians, if you will, and since Craig is a photographer, both of us were very impressed with the two films shown at the Mennonite Information Center at Millstream Road and U.S. Route 30 (or as we like to say to our visitors, "If you pass the Starbucks you've gone too far."). These wonderful multi-media presentations offer a very good introduction to the spiritual communities in a simple and aesthetically pleasing manner. Craig found the photography absolutely first rate. This place is now at the top of our list of recommendations. 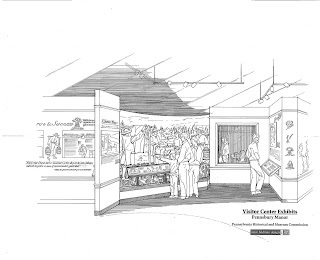 In closing, we agreed that the PHMC's Landis Valley Museum certainly is an outstanding value. The other sites fill a narrow niche, but Landis Valley Museum offers a comprehensive Pennsylvania Dutch experience. Through this travel we gained more confidence in providing answers and guidance to our visitors, and are also now better tourism industry "citizens" and team members. Oh, and we had fun, too! P.S. Our trip concluded in June. Very recently a German man and his family came to visit Landis Valley (not an uncommon summer occurrence!). He saw Craig (a German university trained speaker, former High School language teacher and long-time student of Pennsylvania German) and asked in his native tongue, "Are you Craig?" As it turns out, the fellow mentioned above that had requested our input regarding his interpretation had kept Craig's business card and when this family visited him he strongly urged them to take a trip to Landis Valley Museum. Upon arrival our supervisor told the family where to find Craig. 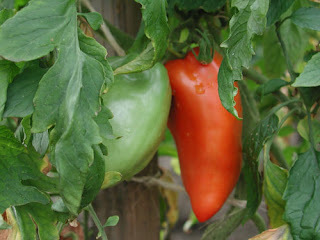 So, it appears that the "good neighbor policy" put into action by Craig and I has borne some beautiful fruit.